“Running Man” Airs Wizard Of Oz Themed Episode Next Week The cast of “Running Man” will be walking down the yellow lane as they are transported into the magical world of Oz for their Wizard of Oz themed episode next week. To promote their new movie “The Commitment”, T.O.P, Kim Yoo Jung and Yoon Jae Moon will be joining “Running Man” as characters from the classic movie. Dorothy and her brother end up in the mystical world of Oz, and to go back to their own time, they will need to enlist the help of the guests and cast in order to escape the clutches of the evil witch who is trying to kidnap the travelers. Supernatural Oz-Themed TV Episode Review The black-and-white bits seem to serve mainly to flesh out Supernatural’s version of The Wizard Of Oz, which has more of the Zooey Deschanel super-grim Tin Man miniseries in its DNA than the original film (or books). It turns out Dorothy (Tilo Horn) was a hunter who ventured to Oz (which is just part of the fairy world) to take down the real-life Wicked Witch, who doesn’t have green skin, but does have an abundance of mediocre glowing green-eye effects. Horn’s Dorothy is supposed to be a kickass version of the character, but doesn’t really do much besides glower and spur Charlie to be more active. The idea that L. Frank Baum is Dorothy’s father and one of the Men Of Letters is kind of interesting, but winds up mostly servicing a tossed-off D-story about Sam being unwilling to call the compound “home.” It probably would have been a lot more expensive, but the glimpse we got of Oz (and the flying monkeys!) 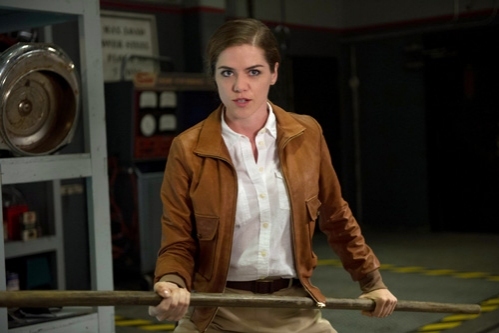 suggest that an episode just set there would have been way brighter, intriguing, and fun. GONE WITH THE WIND and THE WIZARD OF OZ On 2014 TCM Classic Film Festival Lineup Turner Classic Movies (TCM) has unveiled the first three movies in the lineup for the 2014 TCM Classic Film Festival, including the recently restored Gone with the Wind (1939) and a presentation of The Wizard of Oz (1939) in its stunning new IMAX 3D format. Set to take place in Hollywood April 10-13, the fifth-annual edition of the festival will also include a screening of the Harold Lloyd comedy classic Why Worry? (1923), with legendary silent-film composer Carl Davis conducting the live world premiere performance of his new original score. Gone with the Wind and The Wizard of Oz are each celebrating their 75th anniversaries in 2014. Passes for the 2014 TCM Classic Film Festival are set to go on sale to the public Thursday, Nov. 14, at noon (ET). Passes can be purchased exclusively through the official festival website: http://www.tcm.com/festival. Snooki and Her Family Dress as Wizard of Oz Characters for Halloween Snooki, her fiancé Jionni LaValle, and their scrumptious 14-month-old son Lorenzo, dressed up as characters from the Wizard of Oz to celebrate Halloween early on Thursday, Oct. 24, in Whippany, New Jersey. LaValle went as the Scarecrow and wore a green longsleeve top and brown pants, which were covered in hay, and a brown hat. Lorenzo was an adorable lion, sporting a tan and orange onesie, complete with furry ears. Halloween in Oz fundraiser features Oz characters, games, prizes Dorothy and her friends will follow the yellow brick road Sunday to the Moody Music Building for the fourth annual Halloween in Oz, hosted by the University of Alabama’s Community Music School. Attendees will get the chance to meet the main characters from the “Wizard of Oz” movie by entering the Wicked Witch’s Castle, visiting Good Witch Glinda’s lollipop tree or going to see the Wizard. Weigel said that based on the age of the audience in the Witch’s Castle, she’ll be scary for the older children and friendlier for the younger children. Children will also be able to get their faces painted, play on an inflatable or play Halloween-themed games. 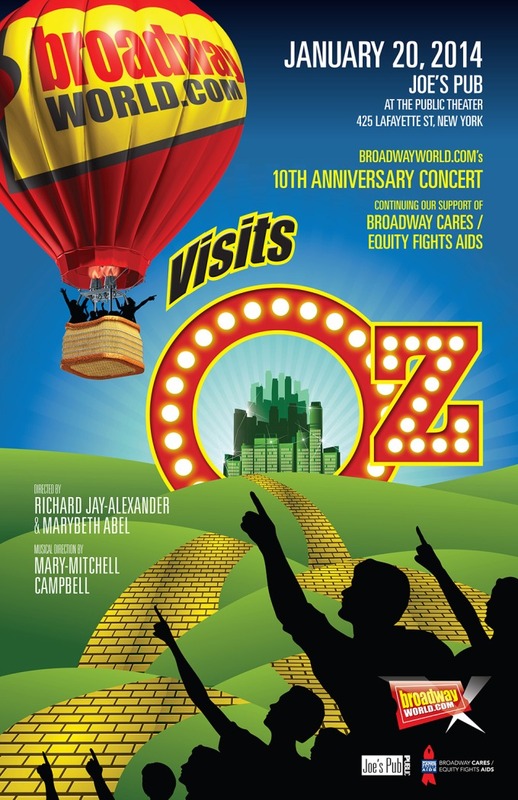 Tickets Now on Sale for BROADWAYWORLD.COM VISITS OZ, A Special 10th Anniversary Celebration to Support BC/EFA on Jan. 20, 2014 We are VERY excited to debut the artwork for this special evening (designed especially for us by Alex Botero), as well as to unveil the first wave in a cavalcade of talent from Broadway & Beyond, who will join us for this special night, including (in alphabetical order): Nick Adams, Stephanie J. Block, Sierra Boggess, Dee Dee Bridgewater, Kristin Chenoweth, André De Shields, Jennifer Diamond, Kurt Domoney, Melissa Errico, Samia Finnerty, Mandy Gonzalez, Olivia Hardy, Roslyn Kind, Norm Lewis, Andrea McArdle, Kathy Najimy, Ken Page, Billy Porter, Richard Ridge, Natalie Toro, Michael Urie and Josh Walden. Plus special appearances by Jimmy Coogan, Luke Mannikus, Mitchell Sink and Nicky Torchia. ‘Miss Gulch Returns’ delivers biting fun with her side of ‘Oz’ story Bob Edes Jr. stars in the title role, revealing the softer side of Miss Gulch, well, relatively speaking a medium-fine sandpaper is about as gentle as she gets. Written by composer and lyricist Fred Barton, the act (which actually pre-dates Wicked) opens with a formally dressed Edes as himself, describing an imagined encounter with the bitter old spinster. More misunderstood than malicious, she now haunts cabaret rooms telling her tale and revealing her side of the story about that annoying little girl and her little dog, too. Supernatural Oz On SUPERNATURAL’s upcoming episode, titled “Slumber Party,” Sam (Jared Padalecki) and Dean (Jensen Ackles) break through a magical green-webbed wall and discover the one and only Dorothy (guest star Tiio Horn) from Oz. She had trapped herself and the wicked witch (guest star Maya Massar) in the web years ago to stop the witch from finding the key that would open the gate that connected their world with Oz. With the wall broken, a massive and magical fight ensues. “Slumber Party” airs Oct. 29 on The CW. Inside the Emerald City: Wicked’s Fiyero Stephen Schwartz and Winnie Holzman’s international hit musical Wicked, which takes audiences to Oz before L. Frank Baum’s famous tale of Dorothy begins, will celebrate its 10th anniversary on Broadway Oct. 30 at the Gershwin Theatre. To mark the Broadway milestone, Playbill.com is looking back at the magical and mysterious characters who inhabit the untold tale of the witches of Oz and a selection of the actors who have filled their shoes. Each week Playbill.com will highlight a different leading character from the hit musical. (Read more about Wicked’s 10th anniversary here.) Playbill.com has also highlighted actresses who played Madame Morrible and the actors who have played the Wonderful Wizard of Oz. This week we look at Wicked’s leading man, Fiyero. Webber’s ‘The Wizard of Oz’ review: highly saturated The new songs are forgettable enough, though they stick out as obvious attempts to pad the product and over-explain the story. The first is a generic unhappy teen plaint for Dorothy – the title, “Nobody Understands Me,” says it all, exemplifying Rice’s limitations as a lyricist – plaintively warbled by a charming Danielle Wade, who, like her London predecessor, won the role on a nationwide TV reality show. There’s a generic talk-song for the excellent Cedric Smith’s folksy traveling showman, Professor Marvel (later the Wizard), as well. The other big new number is an over-the-top would-be showstopper for the Wicked Witch of the West, “Red Shoes Blues,” played to hammy excess by Jacquelyn Piro Donovan, the one new principal on the tour. But hamminess is endemic in this show. ‘Wizard Of Oz’-Themed Drama ‘Red Brick Road’ In The Works At Lifetime The year of Wizard Of Oz continues with the sale of another high-profile Oz-themed drama project. Lifetime has put in development Red Brick Road, from the Wolper Organization, Vertigo Entertainment and Warner Horizon. Written by Tim Schlattman (Dexter) based on a concept by artist Rob Prior and executive produced by Roy Lee and Adrian Askarieh, Red Brick Road is described as an edgy, Game Of Thrones take on the world of Wizard Of Oz. In the classic 1939 feature, when Dorothy set off for the Emerald City, she followed the Yellow Brick Road. But among the yellow bricks at Dorothy’s feet, there was also a swirl of red bricks. They’ve been there the whole time in plain sight. Unnoticed. Unexplored. Which raises the question — just where do they go? Red Brick Road will answer that by following Dorothy down that fateful path, taking her to the oldest, darkest and most dangerous parts of Oz to find what became of her friends who all have gone missing. Man’s overflowing passion for ‘Wizard of Oz’ on display (VIDEO) The Yellow Brick Road is making a detour for the next six months from the Emerald City to a nationally recognized art museum featuring one man’s passion for The Wizard of Oz. 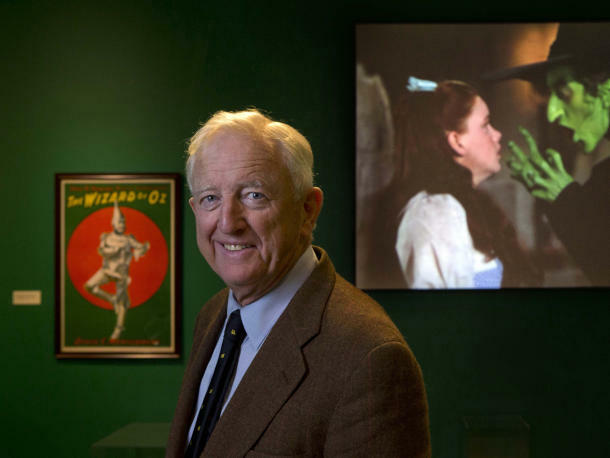 Willard Carroll’s early affection for the movie turned into a memorabilia collection that contains more than 100,000 items. Many people first saw the movie, based on Frank L. Baum’s book, on television in the 1950s. It has since turned into an iconic movie that countless people still adore. “It in and of itself is a work of art in its time and then of course all the movie posters, design of costumes for the movie,” Carroll said of his collection. “And as people will discover when they come to see the show, there’s just so much more.” Some gems from the movie include one of Dorothy’s pinafores and a costume a member of the Lollipop Guild wore. Somewhere over the rainbow …; … their missing Munchkin takes her bow Alexandra Brooks would have made her stage debut as a frilly pink- clad member of the Lullaby League. Instead, the production will be dedicated to the 10-year-old. A few weeks after beginning rehearsals, Alex was found dead, along with her mother, Pamela, in their West Palm Beach home. Police have ruled the deaths a murder-suicide. “It’s hard to keep going, knowing that one of your cast members is with God now,” said Oksana Rubis, 14, the eighth-grader who plays the Wicked Witch of the West. “Then again, that’s good to know that’s where she is.” In honor of their missing cast member, a special ending was written for the play — a reprise of the signature song “Somewhere Over the Rainbow.” It will still be sung by Blakeney’s Dorothy near the start, when she ponders a magical land somewhere beyond monochromatic Kansas. But reprised at the end by the entire cast, it takes on new meaning as a statement to another place beyond the cosmos, where they believe Alex is watching, waiting to add her applause.